ASTANA – Socialisation is vital for children with disabilities, believes educational psychologist and speech pathologist Zarina Dandybayeva. 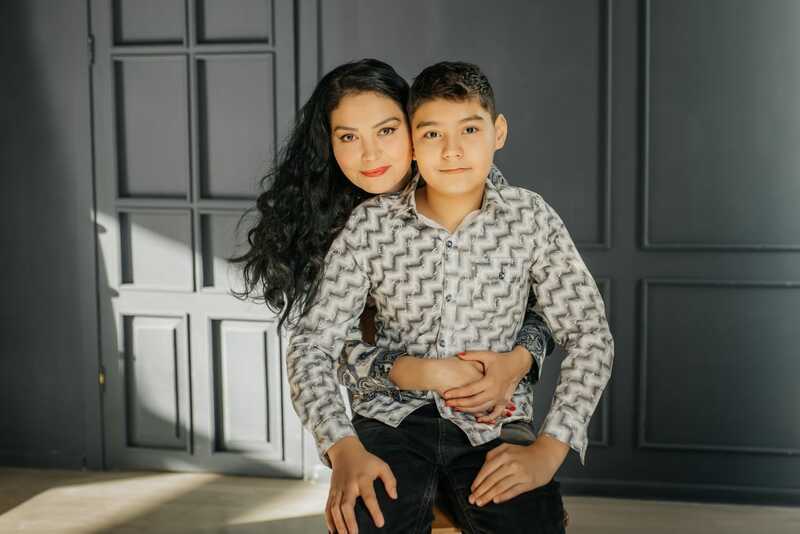 Her 13-year-old son, Alikhan Dandybayev, who has an autistic spectrum disorder, found his interest in modelling for clothing brands, such as Button Blue and Acoola Kids and continue to develop his skills in other spheres. L-R: Zarina Dandybayeva and Alikhan Dandybayev. Socialisation is vital for developing communication skills, adaptation in society, developing one’s skills and expanding knowledge about the world Dandybayeva said in an interview for this story. “I became interested in a model agency when I realised that we need something to do. The most important thing for our children is socialisation,” she said. Since October, Dandybayev has taken part in five photo shoots of Fashion Baby Kazakhstan and Baby Models KZ children model schools. “We had photo shoots for children clothes brands such as Button Blue and Acoola Kids. Alikhan’s portraits are in Khan Shatyr, Asia Park and Saryarka Shopping Centres and the Kukuruku family cafe in Astana,” said Dandybayeva. Usually the photo shoots are individual, but once Dandybayev attended a group modelling session as well. “When we go to a photo shoot, no one notices that we have autism. Alikhan does everything according to the photographer’s instructions; he understands directions well and stands in certain positions. He likes to communicate with people there. It is a way he socialises. We come in a particular time, but sometimes wait and he observes photo shoots of other children,” she said. 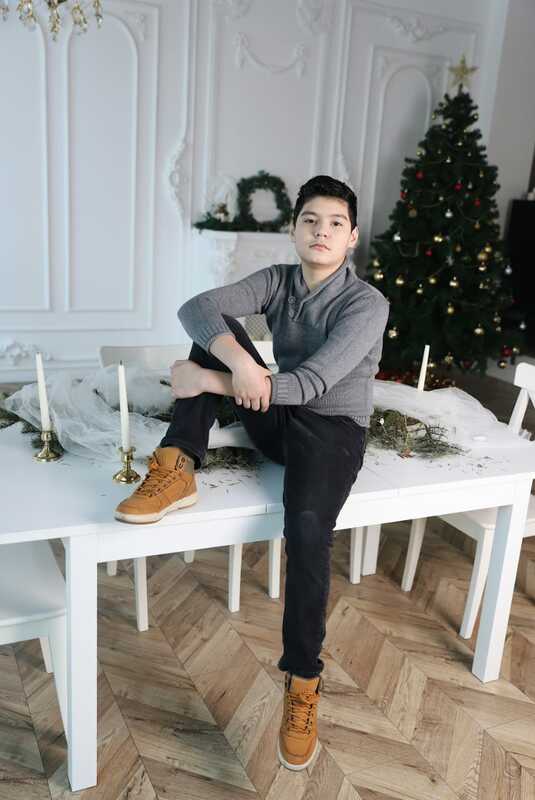 In the beginning of December, Dandybayev participated in photo shoot for Fox Kids magazine. “Once we went to a different model agency. I was afraid that we might get refused, but when I shared our story, they gladly invited us to a photo shoot,” noted Dandybayeva. Before modelling, they tried to attend various leisure activities and sports sections. Dandybayeva believes that every child has his or her own interests, strong sides of the character, therefore, parents, especially of children with special needs, should try attending different leisure activities in sports, arts and other fields. “A child with autistic spectrum disorder is able to do different activities,” she noted. 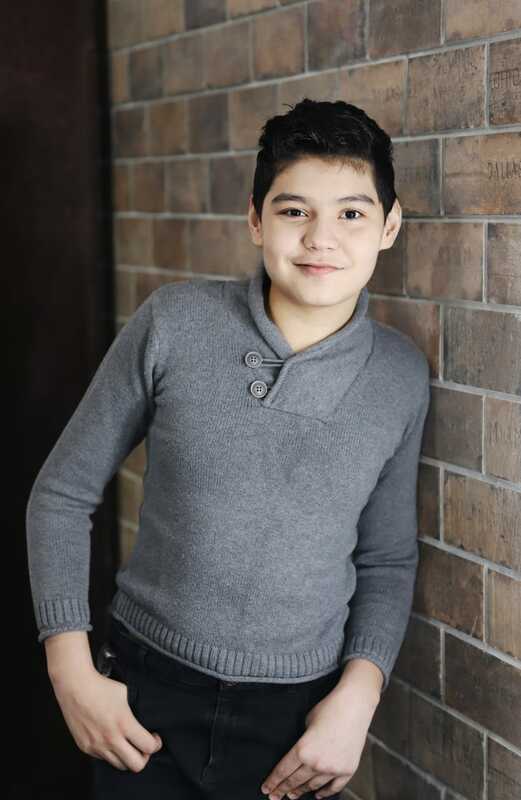 Dandybayev tried attending drums, dombra (Kazakh musical instrument) classes, karate, hockey and lawn tennis. He has also been attending swimming classes for three years. “Physically, Alikhan is strong, but he has no sense of rivalry. He swims very well. Without stopping, he can swim 150 metres in a pool back and forth, but he swims at his pleasure (not to compete). We also tried hockey, but you have to overtake hockey puck or push, but Alikhan does not like it. So, we found a suitable creative activity such as modelling for him,” she said. Children usually attend classes in the correction centres, but parents should not limit themselves to the classes offered in the centres only, said Dandybayeva. Following the example of her son, she suggests to communicate with teachers, coaches and specialists to help a child to try oneself in different fields and develop. Dandybayeva noted that not all classes her son attends are free, which is a financial burden for their family, but the results are more important, she said. “My first education is a lawyer. When Alikhan was born and we diagnosed autism, I learned to be an educational psychologist and a speech pathologist. I work in his correctional school and work with children with the same diagnoses individually,” said Dandybayeva.